The Lahainaluna Boarders Association will hold its first quarterly potluck meeting of the year at 5 p.m. Sunday at 596 Kea St. in Kahului. The agenda will include upcoming projects and updates on the boarding department. Attendees are asked to bring a dish and a favorite beverage. For more info, call 870-5217 or email lhsboardersassociation@gmail.com. Hawaii Pacific Solar, a Maui-based solar PV design and installation company, is extending the application deadline for its West Maui schools educational grant program until Friday. The grant is for class projects or tools that help teachers educate their students about renewable energy and sustainability. HPS started its grant program for schools in 2013. Grants are available up to a total of $2,500. HPS will award one to five grants for projects at West Maui schools for the 2014-15 school year. Grant applications will be evaluated by a team including representatives from the Department of Education, Maui Economic Development Board, HPS and community volunteers. For more information, go to hawaiipacificsolar.com/hawaii-pacific-solar-education-grants. The instructors of Maui Ki-Aikido are offering a special public workshop on self-defense. This two-hour program will teach basic form, offer tips for how to protect yourself by remaining aware of your environment, and introduce a few simple self-defense techniques. Students will also learn about how the mind and body respond in a high-stress environment. The class is open to teens and adults and will be held from 10 a.m. to noon Saturday at 194 S. Market St. in Wailuku. Cost is $10. Students should come 15 minutes early to register and check in. Founded in 1953, Maui Ki-Aikido is the oldest aikido dojo in the United States. For more information, go to mauiaikido. com, or call 357-5172. Casanova Italian Restaurant in Makawao and the Rotary Club of Upcountry Maui are holding a fundraiser for the club’s projects from 5 to 9 p.m. Sunday. Diners who indicate they are at Casanova in support of Upcountry Rotary will have 20 percent of their bill go toward the club’s projects, according to an announcement. To make reservations, call 572-0220 or visit opentable.com. The 26th annual reunion and potluck for anyone with any connection to Minnesota will take place from 11 a.m. to 2 p.m. Saturday at the Kalama Park Pavilion in Kihei, across from Foodland. The event is free, but attendees are asked to bring a Minnesota hot dish, their own beverages, wear a Minnesota T-shirt and speak Minnesotan. The former mayor of Rochester, Minn., Chuck Hazama, will be emcee. He will share why he left sunny Maui for college in the Midwest, and stayed for over 40 years. Attendees who have a good Minnesota joke will be encouraged to share it. For more information, call Colleen Welty at 572-0964. Anna Palomino, a Maui horticulturalist who specializes in rare and endangered native Hawaiian plants, will be the guest speaker at the Native Hawaiian Plant Society meeting Friday at the Hannibal Tavares Community Center Pool Room in Pukalani, starting at 6:45 p.m.
Attendees will have an opportunity to learn about propagation methods used on rare Hawaiian plants. Refreshments will be served. Ukulele teacher Mele Fong will lead a “Ukulele Strumming Workshop” from 10 a.m. to noon Saturday at the Bailey House Museum, 2375A Main St. in Wailuku. Ukulele players of all abilities are invited to bring their instruments and a friend to the workshop. There is no requirement to read music as participants play songs by ear, progressing through two-, three-, four- and some five-chord songs. Chord shapes are visible from a Velcro board at the front of the room. Fong’s husband, Richard Tom, helps to keep the beat as he accompanies the group on his ukulele-bass. The workshop is free with a $10 admission to the museum or a $5 admission for museum members. To register, call Fong at 281-4981 or visit www.ukulelemeleonmaui.com. The Maui Filipino Chamber Foundation will award several $1,000 scholarships to high school seniors who will be graduating in 2015. The foundation also will award one $1,000 scholarship for a student enrolled in the Maui Culinary Academy at the University of Hawaii. The scholarship recipients will be presented at the 2015 Gintong Pamana Leadership and Scholarship Awards Banquet on June 17 at the Maui Beach Hotel. For more information or to access the application form, visit www.mauifilipinochamber.com. The deadline to apply is on March 31. The National Kidney Foundation of Hawaii is partnering with Maui Adult Day Care Center to host a Kidney Early Detection Screening during the Family Caregiver Walk on Saturday at Queen Ka’ahumanu Center. The free, comprehensive health screening is for individuals 18 years or older attending the walk. The screening, which will begin at 7:30 a.m., will check body measurements and blood pressure, as well as blood and urine for signs of diabetes and kidney disease. When the screening is over, each participant will meet with a health professional to review results. The Family Caregiver Walk is an annual fundraising event with entertainment and concessions. Proceeds from the event provide support and assist families and caregivers in Maui County. The walk begins at 7:30 a.m., with opening ceremonies at 7. On-site registration will start at 6:30 a.m.
For more information on The Family Caregiver walk, visit madcc.org, and for information about kidney educational classes or screenings, visit www.kidheyhi.org or call Maui Director Jill Holley at 986-1900. The Red Hot Mamas of Maui, a chapter of the internationally known Red Hat Society, will hold its monthly luncheon at 11:30 a.m. Monday at Fabiani’s Bakery and Pizzeria, 95 E. Lipoa St. in Kihei. For further information, call Queen Diva Dell-Luscious (Adele Rugg) at 879-9964. Limited space is available for small-business owners, operators and startups to attend the “Using Census Bureau Demographic and Economic Data in a Business Plan” workshop Friday at the Maui Economic Development Board’s Malcolm Center. Two sessions of this workshop are available, from 10 a.m. to noon and 1 to 3 p.m., at the center, located at 1305 Holopono St. in Kihei. Admission is free to hear Andrew Hait, program planning and data user outreach liaison for the Census Bureau in Washington, D.C., outline how local area data for Hawaii can help businesses better understand their customers and market, as well as their competitors and industry. A new tool – Census Business Builder – that is coming to the Census Bureau’s website will be highlighted. “This workshop aims to help entrepreneurs and mature businesses succeed in Maui’s challenging small-business environment,” said Frank De Rego Jr., MEDB director of business development projects. Participants are welcome to bring their personal laptops. Complimentary wi-fi will be available. To register, go to www.hightechmaui.com/confregister/1_form-census.cfm. Maui Electric Co’s. Kau’i Awai-Dickson will share the company’s proposed energy plans during a “Let’s Talk Energy” presentation at the noon meeting of the Rotary Club of Kahului Monday at Cafe O’Lei at the Dunes at Maui Lani. MECO’s energy plans intend to help lower customer bills, increase clean energy, give customers more options and keep electrical services reliable and safe, according to an announcement. The public is invited. Cost for lunch is $20 or a $5 program fee. Information about speakers and club service projects can be found at www.kahuluirotary.org. For more information, call club President Alexis Dascoulias at 244-8680. Following its monthly locavore potluck at 6 p.m. Tuesday at the Haiku Community Center, the Haleakala Chapter of the Hawaii Farmers Union United will feature a presentation by seven Maui Montessori School 6th-through-8th-graders. The students will share what they learned experientially about the role of healthy soils when growing food. The evening will feature a video the students made of their hands-on experience. Montessori School teacher Scott Lacasse participated in the Farmers Union-sponsored, county Office of Economic Development grant-funded workshop, “Restoring the Soul of Hawaii’s Soil” on Korean Natural Farming, last May. He decided to turn the experience into a scientific experiment with his students. He taught them how to pre-test and post-test soils to determine the impact indigenous microorganisms can have on the lettuce crop they planted. The Italian American Social Club will hold its sixth anniversary party at St. Theresa’s Hall in Kihei at 6 p.m. Tuesday. The celebration will feature an “all you can eat” pizza party. The pizza will be provided by the Outrigger Pizza Company. 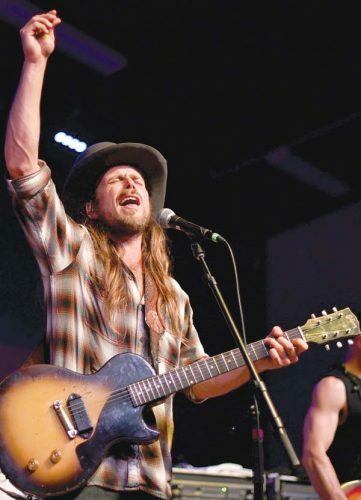 Joel Katz will perform on the Hawaiian steel guitar. Katz has performed for 27 years on Maui and presently teaches steel guitar at the University of Hawaii Maui College. Maui High School parents or guardians and senior students will have a choice of two dates to attend a mandatory meeting in preparation for the 2015 commencement ceremony. The first meeting will be held at 6 p.m. Tuesday, and the second at 9 a.m. Saturday in the school’s cafeteria. Permission forms and Expectations and Understanding for Participation in Commencement Exercises forms will be discussed and distributed at the meetings. Students who wish to participate in the school’s commencement must attend one of these meetings, according to an announcement. For more information, call Ti’a Joaquin at 727-4000. Maui Ocean Center’s complimentary Sea Talk Series continues from 6 to 7 p.m. Thursday with a presentation on sea turtle conservation in Micronesia by Hannah Bernard, Hawai’i Wildlife Fund president and co-founder. In 2014, HWF and Bluecology (of California) joined forces to offer ecotour expeditions in Micronesia that promote community efforts to sustain and enhance the traditional lifestyle. Sea Talks are held at Maui Ocean Center in the Open Ocean exhibit. Admission is complimentary with entry through the aquarium’s front gate from 5:30 to 6 p.m. Seating is limited and given on a first-come, first-served basis. Advance reservations are recommended by calling 270-7088. A “Rotary on the Road” vocational tour will replace the regular morning meeting of the Rotary Club of Kihei Sunrise on Wednesday. Club members and guests are invited to participate in a tour of the Maui Brewing Co. at 605 Lipoa Parkway in Kihei. The tour will begin at 11 a.m. Wednesday and the cost is $10 per person. Lunch is available for purchase after the tour. The public is invited. Contact Vocational Chair Margie Flores at margieF1202@yahoo.com or at 633-4563 to participate. The Pu’u Kukui Elementary School Parent Teacher Student Association is hosting its inaugural Spring Fling event on Saturday on the school campus. Open to the public, the Spring Fling will take place from 2 to 6 p.m. with a silent auction, student-run arcade, photo booth, keiki ID booth, entertainment, as well as a bouncing castle, food trucks and craft fair. Proceeds from a student-run arcade will go directly to each grade level running individual booths. Monies raised from the silent auction will fund the purchase of a kiln for the school. Auction items include weekend getaways, recreational activities, “An Hour with the Mayor,” and gift certificates to Maui restaurants. Scrip will be available for purchase before and after school on the Thursday and Friday prior to the event in front of the office and cafeteria, as well as at the event. For more information, call 344-0070 or 280-1299 or email puukukuiptsa@gmail.com. Aid for victims of domestic violence will be the topic of the American Association of University Women’s meeting Tuesday at Kahili Golf Club Restaurant in Wailuku. The business meeting begins at 10:30 a.m., followed by speakers at 11:15 a.m. and lunch at 12:15 p.m.
Stacey Moniz, executive director of Women Helping Women, and Monique Yamashita, deputy director of Women Helping Women, will speak about the work this organization provides for women in need, including emergency shelter and support services. The successes and challenges of intervention, advocacy, education and prevention will also be discussed. Moniz, a Pukalani native and survivor of domestic violence, has served as a victim’s advocate, support group facilitator and community outreach specialist. She has assisted the Maui Police Department as a member of the Domestic Violence Response Team and has educated 2nd Circuit Court judges about the dynamics of domestic violence. Yamashita is in charge of operations at the Women Helping Women’s shelter, which houses hundreds of women and children each year. She is a member of the West Maui Domestic Violence Task Force. The cost for the meeting is $l8 for members and $20 for guests. The public is invited. To RSVP, contact Janet Walker at bjpwalker@comcast.net or 874-9435. * American Association of University Women meeting. The American Association of University Women will not meet today at the Kahili Golf Club restaurant in Wailuku to discuss aid for victims of domestic violence. A meeting announcement published on Page C1 on Sunday was incorrect because of information provided to The Maui News. The University of Hawaii Maui College Dental Assisting Program will hold a general orientation meeting for prospective students for fall admittance at 4 p.m. Thursday at the UH-Maui College Dental Clinic, Noi’i Building, in Kahului. The UH-MC Dental Assisting Program is an accredited two-semester program that provides students with the skills needed to work in the dental profession. Students are taught in the classroom, while receiving hands-on clinical training at private practice dental offices on Maui. Program information and applications may be found at www.maui.hawaii.edu/dental. For more information and to reserve a seat, call 984-3250. 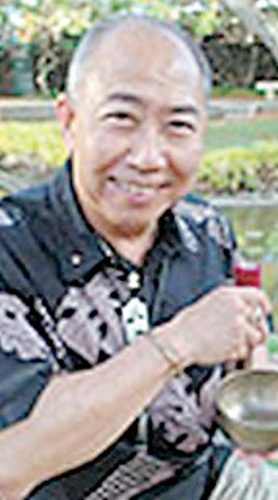 Bryon Sparks, nationally certified Asian bodywork therapist, will be guest speaker at the Kiwanis Club of Maui’s noon meeting Thursday at Cary & Eddie’s Hideaway restaurant. Sparks blends acupuncture, massage and herbs into his treatments. The meeting is open to the public, and visitors are welcome. Lunch is $12. The Surfrider Foundation Maui Chapter is hosting a cleanup at Olowalu beach from 9 a.m. to noon Saturday. Volunteers are asked to meet at Mile Marker 14 on Honoapiilani Highway. All cleanup supplies will be provided. Participants are asked to bring a reusable water bottle and sun protection. Free lunch will be provided for all participants courtesy of Spanky’s Riptide in Lahaina. No RSVP required. For more information, email volunteer@maui.surfrider.org. Kihei Public Library will host “Discovering the Classics with Papa Lopaka,” a free program featuring “The Iliad” by Homer, at 3 p.m. today in the children’s area. Papa Lopaka (Robert DeVinck), a writer, English literature scholar and longtime reader of classic books, will present a dramatic reading of his “Classics Illustrated” comic book “The Iliad” by Homer projected on a large screen. There will be a brief discussion and question-and-answer session. Lopaka will encourage children to read the original book. This one-hour program is recommended for ages 6 to 12 and will include light snacks, provided by the Kay A. Edwards Memorial Fund. Kihei Public Library is at 35 Waimahaihai St. For more information, call the library at 875-6833. Twentieth century Hawaiian jewelry will be the topic at the American Association of University Women’s meeting Feb. 28 at the Five Palms restaurant in Kihei. Carol Anne Dickson, who holds a doctorate in textiles and clothing, will display jewelry and discuss noted designers. She has taught apparel product design and merchandising at the University of Hawaii at Manoa and has presented an exhibition at the Honolulu Academy of Arts. The business meeting will begin at 10:30 a.m., followed by the speaker at 11 a.m. and lunch at 12:15 p.m.
For reservations and selection from the lunch menu, contact Janet Walker at (530) 409-0192 or bjpwalker@ comcast.net by noon Feb. 25. Members are welcome to bring silent auction items or a wrapped mystery gift. There will be a $3 charge for members and $5 for guests. The Maui Meadows Neighborhood Association, which serves all residents of the Maui Meadows neighborhood bordering Kihei and Wailea, has elected new officers: President Debra Greene, Vice President Daniel Kanahele, Treasurer Bob Offerman and Secretary Bonnie Newman. The MMNA provides a way for residents of Maui Meadows to speak with one voice regarding County of Maui issues that impact the community’s quality of life. Some of those issues have been: limiting the number of short-term rental homes in Maui Meadows, maintaining adequate firebreaks, requests for service regarding safety issues on vacant parcels, providing input on the Honua’ula (aka Wailea 670) development, protection of rural zoning, providing information to residents regarding Maui Meadows’ covenants, conditions and restrictions, and who to contact to resolve problematic issues. Parents of Lahainaluna’s Class of 2015 are invited to attend a pre-graduation meeting at 6 p.m. Feb. 25 or 2 p.m. March 1 at the school. Information regarding academic requirements, the senior contract and the arrangements for graduation will be provided by the senior vice principal, the senior guidance counselor and the senior class adviser. Representatives will also be available with information and applications for Project Grad. Senior contracts, which require the signatures of both the student and a parent or guardian, will be distributed at the meeting, and must be signed and returned by March 13 before leaving for spring break. Any parent who cannot attend the group sessions will need to make an individual appointment with Principal Emily DeCosta. Competition for the title of Boys & Girls Clubs of Maui 2015 Gene & Ruth Freeman Youth of the Year is set for Feb. 25 at the Maui Arts & Cultural Center. Finalists are: Sirena Angel, Central Club; Courtney Galarita, Lahaina Club; Jamie Gomes, Makawao Club; and Sedona Estomo, Haiku Club. There will be a reception from 6 to 7 p.m. in the Castle Theater followed by the announcement of the winner between 7 and 8 p.m. in the Yokouchi Pavilion. To celebrate its 50th anniversary, Maui Economic Opportunity Inc. will present a “Dancing With Our Stars” fundraiser beginning at 6 p.m. March 21 at the King Kamehameha Golf Clubhouse. The evening will feature local celebrity dancing contestants and judges. Dancers are Mayor Alan Arakawa, Council Member Don Guzman, Terryl Vencl, Sharon Zalsos and Rick Volner. Contestants will dance with a partner of their choice. The judges are Kellie-Pali Cruz, Tony Takitani and Kathy Collins. For more information, or to purchase a table, call Lyn McNeff at 249-2990. Emily Mathias, a former King Kekaulike High School student and now a junior at the Academy of Arts and Sciences of Southern California, has been nominated to attend the Congress of Future Science and Technology Leaders in Boston on June 28-30. The congress is an honors-only program for high school students who are passionate about science, technology, engineering or mathematics. Mathias was invited by astronaut Buzz Aldrin, science director of the National Academy of Future Scientists and Technologists, to represent California based on her academic achievement, leadership potential and passion for science and technology. Mathias will join students from across the country to hear Nobel Laureates and National Medal of Science winners discuss leading scientific research; get advice from deans of the world’s top tech universities; and learn about cutting-edge advances and the future of science and technology. Mayor Alan Arakawa will be guest host and keynote speaker at a benefit for the West Maui Hospital and Medical Center on March 14 at the Westin Maui Resort & Spa in Kaanapali. The evening will include a silent auction and cocktail hour from 6 to 7 p.m., followed by a buffet dinner with live entertainment from 7 to 10 p.m.
All proceeds of the fundraiser will go toward the initial operating capital required for the new West Maui Hospital. Ross Stores Inc. is partnering with Boys & Girls Clubs of America for a program called “Open the Door to Great Futures” through Feb. 28. Ross customers on Maui can make a monetary contribution during register checkout to be donated to the Boys & Girls Clubs of Maui. “We are very grateful for this partnership with our local Ross Store. This campaign provides an opportunity for our entire Maui County to, like Ross Stores, impact the lives of thousands of young people, support our education program, and definitely open the door to great futures,” said Kelly Pearson, chief executive officer for the Boys & Girls Clubs of Maui. Emmanuel Lutheran School invites parents interested in learning more about its educational programs to attend its open house from 10 a.m. to noon on Saturday. Applications for enrollment for the 2015-16 term are now being accepted. Call 873-6334 or visit els-maui.org for more information about the school. Maui Nui Botanical Gardens will host an ipu tying workshop from 9 a.m. to noon Saturday. Participants will learn the traditional method of tying the long necked, water-carrying gourd with Kumu Lisa Schattenburg-Raymond. Students from her previous cordage classes will have the skills to create their own cord of native plant materials. The unique technique that will be taught creates an elegant and practical cord design. Reservations are required. The cost is $30 for garden members and $55 for guests. 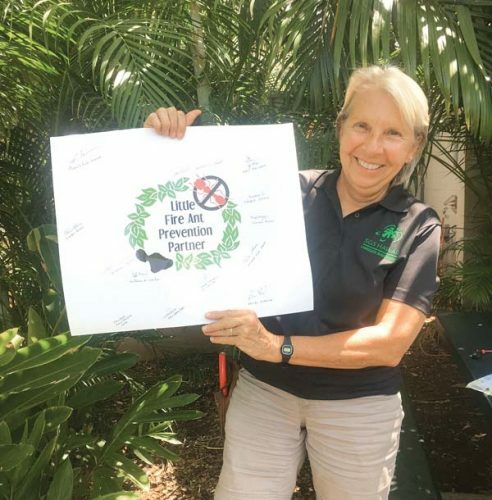 Participants may bring in their own ipu, a plastic or glass water bottle, or purchase an ipu at Maui Nui Botanical Gardens on the day of the workshop. Call 249-2798 or email info@mnbg.org for details. The gardens are located at 150 Kanaloa Ave. in Kahului. Regina Kuhia, a senior at Kamehameha Schools Maui, was named second runner-up at the 2015 Distinguished Young Women of Hawaii scholarship program finals. The 56th annual event, previously known as Hawaii’s Junior Miss, took place Feb. 8 at Kamehameha Schools Kapalama Campus on Oahu. Kuhia won a $2,250 cash scholarship and a $12,500 tuition scholarship from Hawaii Pacific University, and an additional $1,250 for her “Be Your Best Self” essay and for her interview. Kuhia is the daughter of Frederick and Sherye Kuhia. “What is Depression, Schizophrenia, Bipolar Disorder, and Dementia?,” a free mental health education and awareness program, will be presented at two Maui public libraries on Saturday. The 90-minute program, suitable for ages 12 through adults, will begin at 10:30 a.m. at Kihei Public Library and at 1 p.m. at Kahului Public Library. Dr. Rika Suzuki and Dr. Brett Lu, two geriatric/adult psychiatrists from the University of Hawaii at Manoa’s Department of Psychiatry, will share information about depression, schizophrenia, bipolar disorder and dementia – mental health disorders that afflict millions of Americans. The purpose of this community outreach, grant-funded project is to educate and reduce the stigma of mental illness, according to an announcement. Contact the hosting library as soon as possible if a sign language interpreter or other special accommodation is needed. Judy Guajardo, the volunteer coordinator for Na Hoaloha, will speak at the Rotary Club of Kihei Sunrise breakfast meeting Wednesday, which starts at 7:30 at the Five Palms Restaurant at the Mana Kai Maui Resort in Kihei. Na Hoaloha is a small nonprofit organization on Maui that provides services to over 330 homebound kupuna. Services include transportation for seniors so they can get to medical appointments, grocery shopping and pick up medications. Many of the services help keep Maui County’s homebound from becoming isolated. All of the services are provided by the 160 Na Hoaloha volunteers at no cost to the client. Guajardo will explain the services and will answer questions on how volunteers can get involved. The cost of the breakfast is $22. The public is invited. For more information, contact Secretary Joanne Laird at 757-0981 or visit www.kiheirotary.org. The international Alpha Delta Kapaa teacher sorority, Maui Gamma Chapter will have a rummage sale from 7 to 11 a.m. Saturday at the Lihikai Elementary School cafeteria. Proceeds from the sale will support the chapter’s operations, which include giving scholarships to graduating seniors. For more information, call Jocelyn Tengan at 281-9155. Maui County Council, Boy Scouts of America will host its annual Scout-O-Rama from 10 a.m. to 2 p.m. Saturday at the Boys & Girls Club of Maui, 100 Kanaloa Ave. in Wailuku. Admission is free. Open to people of all ages, Scout-O-Rama offers families more than a dozen exhibits, outdoor competitions and live demonstrations. Food will be available for purchase. A canned goods drive will also be part of the event. Scout-O-Rama events include demonstrations, entertainment, pinewood derby-car racing, and informational booths about Scouting and its many lifetime-learning programs. “For Scouts, the best way to find out what you do best is to do it, and that doing is the focus of Scout-O-Rama,” said Danielle Ing, program director of Maui County Council, Boy Scouts of America. For more information, call 244-3724 or visit www.mauibsa.org. The West Maui Taxpayers Association is having a Whale Watch Fundraiser aboard the Ocean Odyssey on Saturday. Check-in is at 1:30 p.m. with Pacific Whale Foundation at Maalaea Harbor at the main loading dock. The whale watch will be from 2 to 4 p.m.. A snack and drink will be provided by WMTA. A cash bar will also be open for individual purchase of drinks and snacks. Tickets are $25 for adults and $15 for children ages 3 to 12. Children 2 and younger will be admitted free. The last day to purchase tickets is Thursday at noon, unless sold out sooner. Pacific Whale Foundation reserves the right to reschedule or cancel due to weather at the discretion of the captain. People may sign up and pay online at www.westmaui.org/whalewatch or send names and payment to P.O. Box 158, Lahaina 96767. For additional information, email wmta@maui.net or call 661-7990. Christ the King Church is accepting items for its rummage sale scheduled for Saturday from 8 a.m. to 1 p.m. at 20 W. Wakea Ave. in Kahului. All proceeds from the sale will go toward the Maui Hotel & Lodging Association 2015 Charity Walk. Clean and working household items, gently used clothing, furniture, flowers and plants are being sought. For more information, call Christine Souza at 442-2197, Penny Schneider at 872-4008, Isabel Quema at 344-1194 or Pricilla Duque at 268-0371. Bachelor’s and master’s degree opportunities available on Maui will be discussed at a presentation hosted by the University of Hawaii Center at the University of Hawaii Maui College at 6 p.m. Thursday in the Laulima Building, Room 108. The session will cover requirements for a variety of degree programs as well as the application process. The focus is on preparing students of all levels, from recent high school graduates to adults returning to school. The session will include an opportunity to ask questions about UH distance programs in an informal face-to-face environment. Degree programs currently available include the master’s degrees in business administration, information and library science, human resource management, and social work; post-baccalaureate teaching certificates in secondary or special education; and bachelor’s degrees in social sciences, justice administration, accounting, or interdisciplinary studies, among others. For more information, contact the University of Hawai’i Center, Maui at 984-3525, or email uctrmaui@hawaii.edu. A Black History Month exhibit at the Queen Ka’ahumanu Center is ongoing at the old Brookstone store location through Feb. 28. The exhibit includes displays about Martin Luther King Jr., African artifacts, African-American authors of Hawaii, Buffalo soldiers and Kwanzaa. There also is a Black History Month display at Wailuku Public Library. Both displays are sponsored by the African Americans on Maui Association and the County of Maui. Somos Ohana Nicaragua, a local nonprofit group that builds schools and supplies physical therapy services and scholarships in rural northwestern Nicaragua, will hold a fundraiser at Flatbread Co. in Paia from 5 to 10 p.m. Tuesday. The event includes a silent auction. Musician Ben Uyetake will perform for the event. A portion of the money from every pizza sold at the restaurant during the fundraiser will be donated to the organization. Volunteers of the Pukalani-based organization are preparing for their 16th consecutive summer of working with the people of small villages in the municipality of Villanueva, Department of Chinandega. During the summer of 2015, they will start another high school for remote and underserved rural villages where more than 130 high school students have been attending classes only on Sundays and Wednesday afternoons in elementary school classrooms. For more information, call 572-9898 or 878-8015 or visit www.somosohananicaragua.org. The Portuguese Association of Maui will hold its scholarship fundraiser from 9:30 a.m. to noon Saturday at Hoaloha Park in Kahului. The association will sell its signature Portuguese bean soup at $10 a quart and fresh, hot malassadas at seven for $5. Reservations for malassadas are being accepted at 877-0123. All proceeds will benefit the association’s scholarship fund. Applications are being accepted for the Maui Police Department Crime Scene Investigation Camp 2015 for high school juniors and seniors. The camp is limited to 12 students and will take place from 8 a.m. to 4 p.m. June 22-26. Applications are available at the County of Maui Web site on the police department page www.co.maui.hi.us/index.aspx?nid=122. The deadline to apply is April 17. For more information, call 463-3830. A representative from AARP Tax Aides will be the featured speaker during the regular meeting of the Kula AARP Chapter on Monday at the Kula Community Center. The meeting is open to the public; no reservations are necessary. Members and guests are encouraged to bring food for the Maui Food Bank. For more information, call Diane Logsdon, 878-3448. A leadership and management skills class for the tourism and hotel industry will be held from 1 to 5 p.m. Feb. 26 at University of Hawaii Maui College’s Laulima Building. Patricia Varley, a member of the opening management team for Hyatt, will be the instructor for the course, presented by UH-Maui College’s EdVenture. She has a Bachelor of Arts in behavioral sciences and a master’s in health services administration. She has been a trainer, business and life coach and facilitator for managers, chief executive officers, entrepreneurs and supervisors. The goal of the course is to enhance leadership and management abilities in the tourism and hospitality industry. The cost is $125. Register at edventuremaui.com or call 984-3421. Maui High School is the winner of the Honolulu Festival’s 12th annual Maui Mikoshi Design Contest, with the students being rewarded by bringing their cultural artwork to display before residents and visitors in Honolulu March 7-8. The students involved in creating the mikoshi design earned a trip to Oahu sponsored by the Honolulu Festival Foundation, Hawaiian Airlines, Outrigger Hotels & Resorts, Kahili Golf Course and Maui Ocean Center to showcase their winning piece. Maui High’s mikoshi will be displayed at the Hawaii Convention Center on March 7, and then carried through Waikiki in the Grand Parade on March 8. Dr. Andrew Kayes, medical director of Maui Diagnostic Imaging, was recently named the intersociety private practice representative for the American College of Radiology. Kayes is the first Hawaii radiologist to ever hold this title, according to a news release. “It’s an honor to be chosen to represent the private practice sector and it’s a special moment to have radiologists from Hawaii involved in shaping our field of expertise nationally,” said Kayes. He will officially start his duties as private practice representative in May at an awards ceremony in Washington, D.C.
Kayes and his wife, WanYu, have three children, William, 7, Nikki, 5, and Henry, 2. Paula Keele will share various components of the EnhanceFitness program at 9 a.m. Feb. 21 at the University of Hawaii Maui College Community Service Building. The program is designed for older adults and people with chronic disease. The demonstration is sponsored by the Maui Family Community Education Association. For more information, call Margaret Raymond at 572-9827. As part of the “Be A Jerk” campaign focused on preventing underage drinking, the County of Maui Department of Housing and Human Concerns has announced a “Tag It” contest. Teens and children may submit one tag line entry each, with a message highlighting the importance of preventing drinking by people under the age of 21. The contest, open to youths ages 18 and younger, is sponsored by the Maui County Underage Drinking Prevention Coalition. The deadline for submissions is March 1. A Facebook vote March 11-25 will determine the winning tag line, with the winner receiving a GoPro camera. The winning tag line will be announced at Mayor Alan Arakawa’s Alcohol Awareness Proclamation ceremony on April 1 at the Mayor’s Conference Room on the ninth floor of the county building. The winning teen also will be recognized at the Teen Expo on May 2 at Queen Ka’ahumanu Center. To submit an entry, fill out an entry form, available at www.beajerkmauicounty.org (click on “Tag It Contest 2015”) and drop off a hard copy of the form to any of the youth centers or Boys and Girls Clubs listed at the bottom of the entry form. Each youth center will submit one tag line per facility, and from these entries five finalists will be selected by the coalition. Mental health first-aid training classes will be offered from 8:30 a.m. to 5:30 p.m. Feb. 20 and 21 at the Old Hana School cafeteria. This free training is designed to help the average person respond to a mental health or substance abuse crisis. Lunch is included. This Mental Health America of Hawaii / Maui County Branch program is co-sponsored by ‘Ohana Makamae and the County of Maui. The Maui Association for Family and Community Education will offer five $2,000 scholarships to qualifying 2015 high school graduating seniors on Maui. Deadline for applications is April 10. The 2015 MAFCE application packet and forms are available at the offices of high school counselors. For more information, email Chaclyn Barut at mauifce scholarship@gmail.com. “Are You Ready to Go Unprocessed?” is the title of a free demonstration by Chef AJ that will be presented at 7 p.m. Thursday in Cameron Center, 95 Mahalani St. in Wailuku. The Los Angeles-based chef, author and presenter will show attendees how to incorporate more fresh fruits and vegetables into their diets. Using only 100 percent whole-food, plant-based ingredients, all of Chef AJ’s creations are not only gluten-free and vegan, but free of sugar, oil and salt as well. Chef AJ, who goes by that name only, has followed a plant-based diet for over 37 years. The author of “Unprocessed,” she is the host of the new television series, “Healthy Living with Chef AJ,” which will soon air on Foody TV, as well as a weekly podcast of the same name. More information about Chef AJ can be found at www.eatunprocessed.com. Replays of her podcasts are at www.healthytasteonline.com. This Vegetarian Society of Hawaii presentation is structured for adult-level audiences. There is no play area for children. Refreshments will be served courtesy of Down to Earth. For more information, call 385-2790 or email jerome.kellner@gmail.com. Tad Okazaki received his Eagle Scout designation at a Court of Honor conducted at Kahului Union Church on Jan. 26. Friends, family and troop leaders attended the celebration, including his parents, Ray and Grace Okazaki. Scout project was to apply non-slip traffic paint in the walkway of the church office building. The total man-hours logged was 108. Eagle Scout is the highest rank attainable in the Boy Scouting program. Requirements include earning at least 21 merit badges and demonstrating ideals of service and leadership, including organizing and leading an extensive service project. More information can be found online at www.mauibsa.org or by contacting Robert Nakagawa, council spokesperson, at 244-3724 or robert.nakagawa@scouting.org. The Keokea Homestead Open Market will offer fresh produce, arts, crafts and floral gift ideas from 8 a.m. to 2 p.m. today. The market is at Mile Marker 16.9 on Kula Highway at Kaamana Street. Shoppers also may purchase foods to enjoy beneath the marketplace’s new 40 by 60 foot semipermanent tent. The nonprofit Keokea Homestead Farm Lots Association hosts the market on the second Sunday of each month, except in May (in deference to Mother’s Day). The association represents Maui’s only Native Hawaiian agricultural homestead, encompassing 66 two-acre lots dedicated to sustainable subsistence farming. For more open market information, including vendor applications, call Karen Park at 870-3220 or email keokeamarketplace@gmail.com. The public is invited to meet Pukalani Elementary School’s Artist in Residence, Calley O’Neill, from 6 to 6:45 p.m. Wednesday in the school library. The school has been awarded a grant to participate in the Art in Public Places and Artist in Residence Program through a collaboration between the Department of Education and the State Foundation on Culture and the Arts. O’Neill will be discussing the process for creating a stained glass mural for a building wall at the school, reflecting the culture of the community. Joe Schmidt, headmaster of Seabury Hall, will offer a two-hour workshop titled “Understanding Your Personal Style and Communicating Effectively With Your Children” at 6:30 p.m. Wednesday at the Seabury Hall ‘A’ali’ikuhonua Creative Arts Center in Olinda. The program is presented by the Seabury Hall Parents Organization as part of its ongoing Parent Education Series. It is free and open to the public. For more information, call Venus Rosete-Medeiros at 870-7735 or Gayle Hart at 442-6111. Alexis and Steven Dascoulias, directors of Maui OnStage at the Historic Iao Theater, will speak at the Rotary Club of Kihei Sunrise breakfast meeting at 7:30 a.m. Wednesday at Five Palms Restaurant at the Mana Kai Maui Resort in Kihei. They will explain the daily operations of the theater while entertaining with “behind the curtain” stories regarding how to put on a Broadway-style musical. The cost of the breakfast is $22. The public is invited. For more information, call Secretary Joanne Laird at 757-0981 or visit www.kiheirotary.org. Free and low-cost cat spay-neuter clinics are being offered by 9th Life Hawaii Feb. 18-26. Volunteers pick up cats at designated locations and transport them to a fully equipped clinic. Cats are returned later the same day to the original pickup point. To obtain a surgical consent form, call 866-3050, email info@9thlifehawaii.org or visit www.9thlifehawaii.org and print out the surgical consent form. Early registration is encouraged. 9th Life Hawaii has sterilized more than 6,700 cats on Maui. With the exception of pregnant cats, all cats are eligible. There is a suggested $35 donation, but the service is free in cases of hardship. The organization also has cats available for adoption. The adoption counselor can be reached at 866-3049. 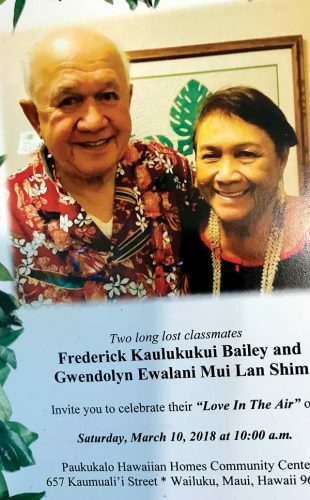 The Castle High School (Oahu) Class of 1973 is seeking classmates living on Maui for its 60th Birthday Bash reunion on Feb. 21. The event will take place from 5 to 10 p.m. at the Pali Golf Course Ballroom. The cost is $30 per person. For more information, call Linda Takazono Lau at (808) 264-4468 or download the registration form by visiting castlehs.k12.hi.us/1973.html. The Rotary Club of Kihei-Wailea will hold its Mardi Gras gala celebration from 5 to 9 p.m. Feb. 13 at Mulligans on the Blue, 100 Kaukahi St. in Wailea. There will be a costume contest, dancing and food. New Orleans music by Alan Stevens and Friends will be featured. The evening will also include a silent auction. Tickets may be purchased for $65 at www.is.gd/mardigras2015, or at the door for $75. Proceeds will help fund several of the club’s community activities, including youth scholarships, the Rotary Youth Leadership Camp and the Maui food drive. For more information, call Kit Hawkins at 276-6487. Crafters and vendors have until March 27 to reserve a booth at the 2015 Valley Isle Keiki Fest set for April 11 at the University of Hawaii Maui College. The event aims to promote a positive environment and community, where children from birth to age 12 are safe, healthy and ready to succeed, according to an announcement. The event will take place from 11 a.m. to 4 p.m. on the campus lawn. Booth space costs $125 for vendors selling keiki-related items, while nonprofits providing hands-on activities for children will have fees waived. All vendors will be subject to approval to participate in the Keiki Fest. To reserve booth space or for sponsorship information, call Vanessa Kina at 250-2777 or email keikifest@gmail.com. Maui Mayor Alan Arakawa will be the guest speaker at the lunch meeting of the Rotary Club of Kihei-Wailea at noon Feb. 11 at Fabiani’s restaurant in the Wailea Gateway Center. Arakawa will provide an update on some concerns facing the county, including how modifying the affordable housing rules may affect the economy, how the county should plan for light rail in the next 50 years, and the mayor’s vision for creating a mental health center for homeless people at the Old Maui High School. The cost is $16, which includes lunch. The meeting is open to the public. For more information, visit www.mauirotary.org. Rob Finberg, senior pastor of Grace Church in Pukalani, will be guest speaker at the Kiwanis Club of Maui’s noon meeting Thursday at Cary & Eddie’s Hideaway restaurant. Finberg has plans for a visitor center at Kulamalu to be called the Aloha Heritage Center of Hawaii. The meeting is open to the public and visitors are welcome; lunch is $12. Author and writing coach Jasmyne Boswell will be guest speaker at the 10 a.m. meeting of the South Maui Chapter of AARP on Monday in the activities room of Kalama Heights, 101 Kanani Road in Kihei. Boswell will present a talk titled “Your Life is Your Legacy.” She will instruct participants on how to write their life stories for either publication or as a gift for their children, grandchildren and community. For further information, call South Maui Coordinator Adele Rugg at 879-9964. Ohana Arts & Honpa Hongwanji of Hawaii will present “Peace on Your Wings” at 2 p.m. Sunday on the Kamehameha Schools Maui Campus in the Keopuolani Hale. The original musical is inspired by the life of Sadako Sasaki, who was 2 years old when the atomic bomb was dropped near her home in Hiroshima, Japan, on Aug. 6, 1945. She lived 10 more years before dying of leukemia and has become a symbol of innocent victims of war. The play is appropriate for all ages. Tickets are $15 (general) and $10 (students) for presale and $20 (general) and $15 (students) at the door. Tickets are available at mauipeaceonyourwings.brownpapertickets.com. For more information, visit ohanaarts.org. The Portuguese Association of Maui is offering a course in conversational Portuguese for adult beginners. Classes are being held from 5 to 7 p.m. Mondays until March 30 at Luana Gardens Community Center, 615 Papa Ave. in Kahului. The fee for the course is $15. Class size is limited to 20 students. Nuno Jardim Figueiredo, a native of Lisbon, Portugal, is the chief instructor. For more information or to enroll call 243-0065. “Computers for Beginners,” a free computer-training class, will be presented from 6 to 7:30 p.m. Feb. 11 at Makawao Public Library in the adult reading section. Al Bayless, an Internet instructor at Maui public libraries and the Kaunoa Senior Center, will conduct this introductory computer class for adults seeking to learn basic computer skills. The focus will be on computers running Windows 7. Participants with laptops are encouraged to bring them to class. A valid Hawaii State Public Library System card is required to connect to the library’s free wireless Internet. Pre-registration is required and seating is limited. Call the library at 573-8785 to register or for more information. Participants requiring a sign language interpreter or other special accommodations are urged to contact the library as soon as possible. Makawao Public Library is located at 1159 Makawao Ave. The Maui Orchid Society is presenting a show and sale of orchids at Maui Mall from 9 a.m. to 4 p.m. Feb. 12-14. Orchids on display will be judged and awarded in the various families, genera and species. Maui Orchid Society members will be available to answers question about the growth and care of orchids. Andrew Keenan will conduct “Becoming a General Contractor” training through the Sustainable Living Institute of Maui at the University of Hawaii Maui College. The training will cover getting a license, finding clients, bidding for jobs, managing a job and satisfying the customer. Classes will take place from 5:30 to 8:30 p.m. on Tuesdays, Feb. 10 to March 10. To register for this $249 course, visit www.edventuremaui.com and look under business, and then entrepreneurship and small business, or call 984-3231. For more information, email mvstephe@hawaii.edu or call 984-3502. The work of Alexa P. Foley will be featured at an art show from 4 to 6 p.m. Saturday at the Bailey House Museum in Wailuku. Foley has taught copper enameling classes at University of Hawaii Maui College and at senior centers on Maui. She is also a painter and has a greeting card business. Iao Preschool will present its 12th annual Ohana Family Fun Fair from 9 a.m. to 2 p.m. Feb. 28 at 2371 W. Vineyard St. in Wailuku. This event will include entertainment, games for keiki, a rummage sale, food and bake sale, as well as live and silent auctions. All proceeds will benefit students at Iao Preschool. To contribute auction items, call the school at 242-1995, fax 242-5963, or email iaopreschool808@gmail.com. The Italian American Club of Maui will host a pizza potluck at 6 p.m. Tuesday at Kaunoa Senior Center, 401 Alakapa Place in Spreckelsville. Attendees are asked to bring a pizza or salad that serves five or more and their own beverage. For the program, club members will be sharing stories about their Italian connections. The public is invited. For more information, call 874-5905. To learn more about the club, visit www.italianamericanclubofmaui.com. The New York Times Large Print Weekly Edition is now available for library patrons to read at the Wailuku Public Library. The subscription is a donation from Paul Gammie of Gammie HomeCare on Maui. Each week, The New York Times publishes the Large Type Weekly, the only newspaper in America printed in large type for people with low vision. It offers a selected package of the week’s news including articles, editorials and The New York Times crossword puzzle. It is printed in 16-point type, which is about twice the size of the Times’ regular type. Wailuku Public Library is the only Maui branch that carries this publication. For more information, call the library at 243-5766. The County of Maui Department of Housing and Human Concerns’ Volunteer Center invites local nonprofit and government agencies to nominate their favorite volunteer heroes. An awards program will be featured as part of the Volunteer Center’s annual Celebration of Service during National Volunteer Week, April 12-18. The purpose of the program is to recognize volunteers for outstanding community service and giving back to others. Volunteer heroes will be recognized on April 16 by Mayor Alan Arakawa. All volunteer heroes will receive a certificate of appreciation, lei and a recognition token from the County of Maui Volunteer Center. Only one application per organization is allowed. Applications can be found at www.mauicounty.gov/volunteercenter; under the “Agency” tab, click on “Volunteer Hero Program.” Deadline is Feb. 20. For more information on volunteering in Maui County, visit www.handsonmaui.com or contact Volunteer Center Coordinator Wendy Stebbins at wendy.stebbins@mauicounty.gov or 270-7150. Attendees will learn how clogged arteries develop and how to stop and even reverse arterial clogging with diet. Blake will outline the latest research so that participants can choose heart-safe lifestyle options. Located at 88 S. Papa Ave. in Kahului, Roselani Place will also offer an open house with model apartments available for viewing, door prizes and musical entertainment by Glenn Foster. Light, healthy refreshments will be served. Admission is free and open to the public. To reserve a space, or for more information, email diane@roselaniplace.com or call 871-7720. St. John’s Episcopal Church, across from Keokea Park in Kula, will hold its annual rummage and bake sale from 9 a.m. to 3 p.m. Friday and Saturday in the church parish hall. Sale items will include clothing, small appliances, household items and toys. Also for purchase will be homemade baked goods, coffee and tea. There will also be a free playground for children. Attendees are asked to bring their own bags. Clearance prices will be offered from 1 to 3 p.m. on Saturday. Proceeds will help the 114-year-old church continue its many programs and maintenance, according to an announcement. For more information, or to donate items for the sale (pickup may be arranged), call 878-1485 between 9 a.m. and 2 p.m.
Moonlight Mele with George Kahumoku Jr. & Friends, a monthly benefit concert for the Maui Historical Society, will take place from 5 to 8 p.m. Saturday on the grounds of Hale Ho’ike’ike, the Bailey House Museum, 2375-A Main St. in Wailuku. There will be a beer and wine garden, arts and crafts vendors and museum tours. General admission is $20; admission for kamaaina is $10, and free for children 12 and younger. For more information, call 244-3326 or visit www.mauimuseum.org. Aha Moku O Kaupo will be hosting its first meeting at 10 a.m. Saturday at the Old Kaupo School yard, located at Mile Marker 34 on Piilani Highway. For more information, go to the website www.ahamokuomaui.org or call Alohalani Smith at 870-2820. Jerleen Bryant, chief executive officer of the Maui Humane Society, will be the guest speaker at the noon meeting of the Kihei-Wailea Rotary Club of Kihei-Wailea Wednesday at Mulligans on the Blue in Wailea. Bryant will discuss the Maui Humane Society’s Wings of Aloha program, which is designed to fly Maui’s homeless pets to new homes and families on the Mainland. In 2012, Bryant began as the society’s development director, and in June she was appointed CEO. Bryant has over 20 years of private industry and animal welfare management experience, including founding and operating a nonprofit rescue group dedicated to finding new homes for adoptable dogs in the Pacific Northwest. The cost is $16, which includes lunch. The event is open to the public. For more information, visit www.mauirotary.org. “Cowspiracy: The Sustainability Secret,” a 2014 feature-length documentary about the environmental impact large-scale factory farming has on the planet, will be screened at 6:30 p.m. Thursday at the Temple of Peace in Haiku. A $10 per person donation will benefit Leilani Farm Sanctuary in Haiku. The all-volunteer nonprofit organization is dedicated to providing care for rescued animals, humane education to the community and a model of compassionate living. For more information, call 298-8544, email info@leilanifarmsanctuary.org, or visit leilanifarmsanctuary.org. Free help in completing the online Free Application For Federal Student Aid form will be available to students and families from 1 to 3 p.m. Feb. 8 at the University of Hawaii Maui College in the Kalama Building. No registration is required and walk-ins are welcome. For details, visit www.collegegoal808.org. The FAFSA is the federal application required by most colleges, universities and vocational schools in the nation. Maui Ki-Aikido is offering a special introductory class for beginners interested in learning about the Japanese martial art of Aikido. The four-week class will cover fundamentals of Aikido practice, including balance and posture, an introduction to Aikido movement, meditation, and a few simple techniques. The class will be held Friday from 6:30 to 8:30 p.m. at 194 S. Market St. in Wailuku, continuing every Thursday through the month of February. The cost is $40. Students should come 15 minutes early to the first class to register and check in. Founded in 1953, Maui Ki-Aikido is the oldest Aikido dojo in the United States, with some of the highest-ranking instructors outside of Japan. Learn more about the dojo’s programs for adults and children at mauiaikido.com, or call 357-5172 for information. “Paws for Reading” will be presented at Wailuku Public Library on the first Thursday in the months of February, March and April. The free program for keiki in grades 1 through 5 will be offered on Thursday, March 5, and April 2, from 3 to 4:30 p.m. in the literacy room. Assistance Dogs of Hawaii, a nonprofit organization that provides people with physical disabilities specially trained dogs to assist them in living more independent lives, will conduct the program, which is said to improve children’s reading and communication skills. Parents are asked to contact the library to sign up their children for 15-minute reading sessions. Pre-registration is required. All children must be on time for their session and be accompanied by a parent or caregiver. Contact the library three weeks in advance of the programs if a sign language interpreter or other special accommodation is needed. The Wailuku Public Library is at 251 High St. For more information or to sign up for a reading session, call the library at 243-5766. Mental health, addiction and domestic violence counselors, as well as others who work with families and children, are invited to attend a training titled “Treating Complex Trauma: A Relational Blueprint for Collaboration and Change” on Wednesday in the Cameron Center Auditorium in Wailuku. Registration is from 8:30 to 9 a.m., with the training from 9 a.m. to 4 p.m. Attendees will be on their own for lunch from noon to 1 p.m. The cost for the training is $35. Attendees will learn practical and clinically evaluated skills for treating clients experiencing complex trauma. Presenters include Executive Director of the Center for Contextual Change Mary Jo Barrett and professor of marriage and family at Syracuse University Linda Stone Fish. The workshop is sponsored by Maui Youth & Family Services, and individuals interested in attending can email MYFS Clinical Director Rick Collins at rcollins@myfs.org to request a registration form. The Sustainable Living Institute of Maui is offering a new training: Introduction to Lean & Green Strategies. It is based on a concept that originated at Toyota Car Co. in Japan and is used by businesses and manufacturing companies across the U.S. Focusing on the systematic components of both “lean” and “green” allows companies to identify how to be more efficient, save on costs and enhance revenues across their operations, while limiting their carbon footprint, according to a news release. Mark Ausbeck, senior project manager at High Technology Development Corporation/INNOVATE HI, is the instructor for this two-session, five-hour training from 6 to 8:30 p.m. Wednesday and Feb. 11 at the University of Hawaii Maui College. People can register for this $125 training at edventuremaui.com (click on “Career Training” and then “Sustainable Development”), or call 984-3231. Volunteers are being offered the opportunity to spend Valentine’s Day weekend on a service project in Haleakala Crater with the Friends of Haleakala National Park Feb. 14-16. The group will hike into the crater, stay in Holua Cabin, and work on either protection of native plants in the crater wilderness or cabin maintenance. In addition to helping the national park, those volunteering will also have some time for hiking, star-gazing or photography in the quiet crater wilderness. To register, first visit the website www.fhnp.org where more information about the group’s mission and work to preserve and protect Haleakala National Park can be found. Then call the trip leader at 264-4757 for a reservation. Beginning Tuesday, Maui Economic Opportunity’s Head Start will be accepting applications for the 2015-16 school year. Head Start is a federal program that provides early childhood development services to families that meet the federal poverty guidelines and selection criteria. Children who will be 3 or 4 years old by July 31 are eligible for enrollment. Parents or legal guardians will be required to bring the child’s birth certificate and two forms of household income (e.g., 2014 W-2 forms or 2014 tax returns and four to six current pay stubs or Temporary Assistance for Needy Families printout). Applications to be completed in the office between the hours of 7:30 a.m. and 3:30 p.m. (Monday to Friday, except on all federal and state holidays) at the MEO Family Center, 99 Mahalani St. in Wailuku. For more information, call MEO Early Childhood Services department at 249-2988.